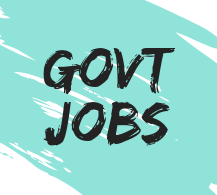 This is Latest govt jobs , we provide you all the latest sarkari Naukri / Government jobs in all the fields such as Railway Recruitment , CRPF Recruitment , Teaching Recruitment , Bank Jobs , SSC Vacancy , Police Recruitment , Jal Nigam Vacancy , B.Tech Vacancy , 10th Pass Jobs , 10+2 Recruitment , ITI Jobs , Engineering Jobs & much more . If you feel any difficulty or for any suggestion or want to suggest anything then "Contact us at" . Here is my personal e-mail id and contact number .